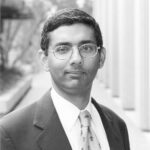 Dinesh D'Souza is the author of several best selling books, including Illiberal Education, The End of Racism, What’s So Great About America, and, most recently, What’s So Great About Christianity. A graduate of Dartmouth College, he served previously as a policy analyst in the Reagan White House, John M. Olin Fellow at the American Enterprise Institute, and Robert and Karen Rishwain Fellow at the Hoover Institution. His articles have appeared in several magazines and newspapers, including the New York Times, the Wall Street Journal, The Atlantic Monthly, Vanity Fair, The New Republic, and National Review. The following is adapted from a speech delivered on September 16, 2008, at a Hillsdale College National Leadership Seminar in Colorado Springs. In recent years there has arisen a new atheism that represents a direct attack on Western Christianity. Books such as Richard Dawkins’ The God Delusion, Christopher Hitchens’ God Is Not Great, and Sam Harris’ The End of Faith, all contend that Western society would be better off if we could eradicate from it the last vestiges of Christianity. But Christianity is largely responsible for many of the principles and institutions that even secular people cherish—chief among them equality and liberty. When Thomas Jefferson wrote in the Declaration of Independence that “all men are created equal,” he called the proposition “self-evident.” But he did not mean that it is immediately evident. It requires a certain kind of learning. And indeed most cultures throughout history, and even today, reject the proposition. At first glance, there is admittedly something absurd about the claim of human equality, when all around us we see dramatic evidence of inequality. People are unequal in height, in weight, in strength, in stamina, in intelligence, in perseverance, in truthfulness, and in about every other quality. But of course Jefferson knew this. He was asserting human equality of a special kind. Human beings, he was saying, are moral equals, each of whom possesses certain equal rights. They differ in many respects, but each of their lives has a moral worth no greater and no less than that of any other. According to this doctrine, the rights of a Philadelphia street sweeper are the same as those of Jefferson himself. This idea of the preciousness and equal worth of every human being is largely rooted in Christianity. Christians believe that God places infinite value on every human life. Christian salvation does not attach itself to a person’s family or tribe or city. It is an individual matter. And not only are Christians judged at the end of their lives as individuals, but throughout their lives they relate to God on that basis. This aspect of Christianity had momentous consequences. Though the American founders were inspired by the examples of Greece and Rome, they also saw limitations in those examples. Alexander Hamilton wrote that it would be “as ridiculous to seek for [political] models in the simple ages of Greece and Rome as it would be to go in quest of them among the Hottentots and Laplanders.” In The Federalist Papers, we read at one point that the classical idea of liberty decreed “to the same citizens the hemlock on one day and statues on the next….” And elsewhere: “Had every Athenian citizen been a Socrates, every Athenian assembly would still have been a mob.” While the ancients had direct democracy that was susceptible to the unjust passions of the mob and supported by large-scale slavery, we today have representative democracy, with full citizenship and the franchise extended in principle to all. Let us try to understand how this great change came about. In ancient Greece and Rome, individual human life had no particular value in and of itself. The Spartans left weak children to die on the hillside. Infanticide was common, as it is common even today in many parts of the world. Fathers who wanted sons had few qualms about drowning their newborn daughters. Human beings were routinely bludgeoned to death or mauled by wild animals in the Roman gladiatorial arena. Many of the great classical thinkers saw nothing wrong with these practices. Christianity, on the other hand, contributed to their demise by fostering moral outrage at the mistreatment of innocent human life. Likewise, women had a very low status in ancient Greece and Rome, as they do today in many cultures, notably in the Muslim world. Such views are common in patriarchal cultures. And they were prevalent as well in the Jewish society in which Jesus lived. But Jesus broke the traditional taboos of his time when he scandalously permitted women of low social status to travel with him and be part of his circle of friends and confidantes. Christianity did not immediately and directly contest patriarchy, but it helped to elevate the status of women in society. The Christian prohibition of adultery, a sin it viewed as equally serious for men and women, and rules concerning divorce that (unlike in Judaism and Islam) treated men and women equally, helped to improve the social status of women. Indeed so dignified was the position of the woman in Christian marriage that women predominated in the early Christian church, and the pagan Romans scorned Christianity as a religion for women. Then there is slavery, a favorite topic for the new atheist writers. “Consult the Bible,” Sam Harris writes in Letter to a Christian Nation, “and you will discover that the creator of the universe clearly expects us to keep slaves.” Steven Weinberg notes that “Christianity…lived comfortably with slavery for many centuries.” Nor are they the first to fault Christianity for its alleged approval of slavery. But we must remember that slavery pre-dated Christianity by centuries and even millennia. It was widely practiced in the ancient world, from China and India to Greece and Rome. Most cultures regarded it as an indispensable institution, like the family. Sociologist Orlando Patterson has noted that for centuries, slavery needed no defenders because it had no critics. But Christianity, from its very beginning, discouraged the enslavement of fellow Christians. We read in one of Paul’s letters that Paul himself interceded with a master named Philemon on behalf of his runaway slave, and encouraged Philemon to think of his slave as a brother instead. Confronted with the question of how a slave can also be a brother, Christians began to regard slavery as indefensible. As a result, slavery withered throughout medieval Christendom and was eventually replaced by serfdom. While slaves were “human tools,” serfs had rights of marriage, contract, and property ownership that were legally enforceable. And of course serfdom itself would eventually collapse under the weight of the argument for human dignity. Moreover, politically active Christians were at the forefront of the modern anti-slavery movement. In England, William Wilberforce spearheaded a campaign that began with almost no support and was driven entirely by his Christian convictions—a story powerfully told in the recent film Amazing Grace. Eventually Wilberforce triumphed, and in 1833 slavery was outlawed in Britain. Pressed by religious groups at home, England then took the lead in repressing the slave trade abroad. The debate over slavery in America, too, had a distinctively religious flavor. Free blacks who agitated for emancipation invoked the narrative of liberation in the Book of Exodus: “Go down Moses, way down to Egypt land and tell old Pharoah, let my people go.” But of course throughout history people have opposed slavery for themselves while being happy to enslave others. Indeed there were many black slave owners in the American South. What is remarkable in this historical period in the Western world is the rise of opposition to slavery in principle. Among the first to embrace abolitionism were the Quakers, and other Christians soon followed in applying politically the biblical notion that human beings are equal in the eyes of God. Understanding equality in this ingrained way, they adopted the view that no man has the right to rule another man without his consent. This latter idea (contained most famously in the Declaration of Independence) is the moral root both of abolitionism and of democracy. For those who think of American history only or mostly in secular terms, it may come as news that some of its greatest events were preceded by massive Christian revivals. What historians call the First Great Awakening swept the country in the mid-eighteenth century, and helped lay the moral foundation of the American Revolution. Historian Paul Johnson describes the War for Independence as “inconceivable…without this religious background.” By this he means that the revival provided essential support for the ideas that fueled the Revolution. Jefferson, let us recall, proclaimed that human equality is a gift from God: we are endowed by our Creator with inalienable rights. Indeed there is no other possible source for them. And Jefferson later wrote that he was not expressing new ideas or principles when he wrote the Declaration, but was rather giving expression to something that had become settled in the American mind. Likewise John Adams wrote: “What do we mean by the American Revolution? The war? That was no part of the Revolution; it was only an effect and consequence of it. The Revolution was in the minds of the people…a change in their religious sentiments.” Those religious sentiments were forged in the fiery sermons of the First Great Awakening. And finally, fast forwarding to the twentieth century, the Reverend Martin Luther King’s “I Have a Dream” speech referred famously to a promissory note and demanded that it be cashed. This was an appeal to the idea of equality in the Declaration of 1776. Remarkably, King was resting his case on a proclamation issued 200 years earlier by a Southern slave owner. Yet in doing so, he was appealing to a principle that he and Jefferson shared. Both men, the twentieth-century pastor and the eighteenth-century planter, reflected the influence of Christianity in American politics. Christianity has also lent force to the modern concept of individual freedom. There are hints of this concept both in the classical world and in the world of the ancient Hebrews. One finds, in such figures as Socrates and the Hebrew prophets, notable individuals who have the courage to stand up and question even the highest expressions of power. But while these cultures produced great individuals, as other cultures often do today, none of them cultivated an appreciation for individuality. And it is significant that Socrates and the Hebrew prophets came to bad ends. They were anomalies in their societies, and those societies—lacking respect for individual freedom—got rid of them. As Benjamin Constant pointed out, freedom in the ancient world was the right to participate in the making of laws. Greek democracy was direct democracy in which every citizen could show up in the agora, debate issues of taxes and war, and vote on what action the polis should take. The Greeks exercised their freedom solely through active involvement in the political life of the city. There was no other kind of freedom and certainly no freedom of thought or of religion of the kind that we hold dear. The modern idea of freedom, by contrast, is rooted in a respect for the individual. It means the right to express our opinion, the right to choose a career, the right to buy and sell property, the right to travel where we want, the right to our own personal space, and the right to live our own life. In return, we are responsible only to respect the rights of others. This is the freedom we are ready to fight for, and we become indignant when it is challenged or taken away. Christianity has played a vital role in the development of this new concept of freedom through its doctrine that all human beings are moral agents, created in God’s image, with the ability to be the architects of their own lives. The Enlightenment certainly contributed to this understanding of human freedom, though it drew from ideas about the worth of the individual that had been promulgated above all by the teachings of Christianity.